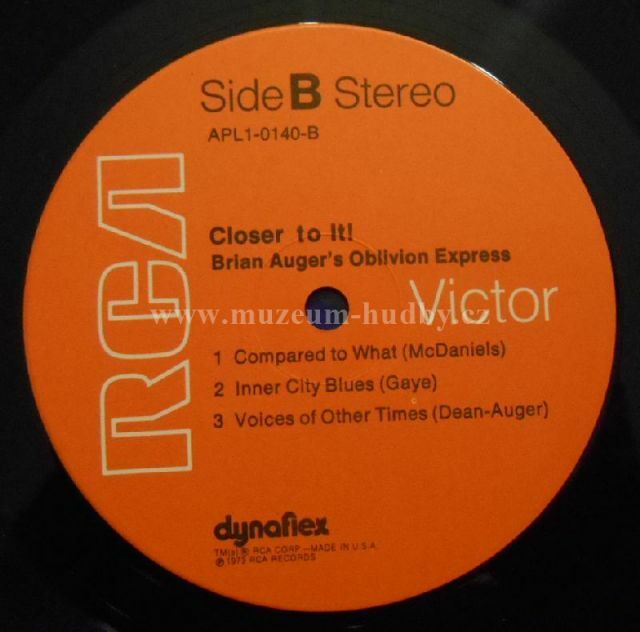 I've worn out a couple of vinyl copies of this over the years just trying to cop Brian's licks. That should tell you something about how I feel about this record and most of the early Oblivion Express catalog. If you like funky Hammond and Rhodes workouts with grooves that just won't quit, you've come to the right place. His solo lines flow and flow, but always with a sense of purpose and a tale to tell. This is probably the best OE LP, with Truth running a close second. Most of the material is by Auger and he still plays much of this today with just as much power and grace. I suppose this is jazz-rock, but it's not overwrought fusion. This music will get you out of your chair, so wear comfortable shoes. 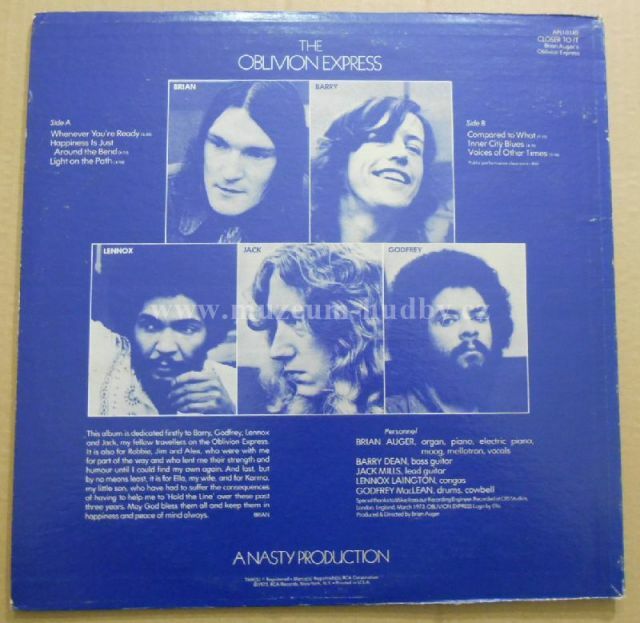 4th album by Brian Auger’s group Oblivion Express, recorded after his decision to cross the Atlantic and settle in the US. 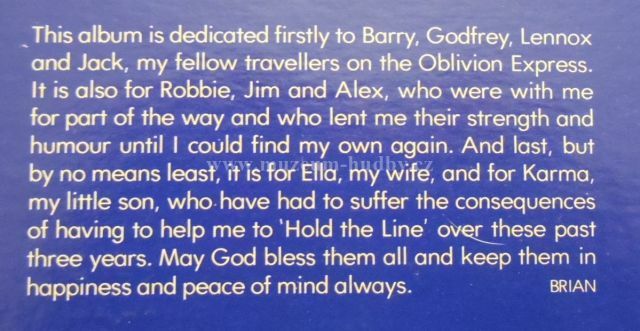 Following this move most of the players in the band left to go back to UK and Auger (with bass player Barry Dean, who decided to stay) added three new players: Jack Mills on guitar, Godfrey Maclean on drums and Lennox Laington on congas. 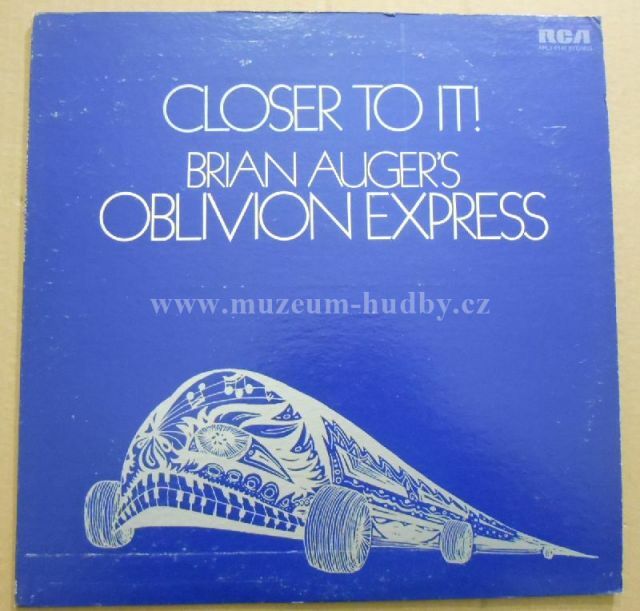 The album features Auger on vocals (although scarce) in addition to his exceptional keyboard work (organ, electric piano, moog and string machine). Auger contributed most of the wonderful material with just two tunes coming from outside the band (one by Marvin Gaye). The music is, as usual, a mixture of jazz, rock, rhythm and blues and soul with plenty of space for the musicians to express their ability and improvise. Auger’s jazzy keyboard solos are simply remarkable. For the many Auger’s fans this is a most welcome addition to the reissue program as these editions are far superior to the earlier One Way or Disconforme editions. This is one of the best albums in the admittedly sparse field of jazz-rock. Hits the groove and never lets go. Manages to be simultaneously funky and laid-back. A highlight in Auger's catalogue, in my opinion his best release.